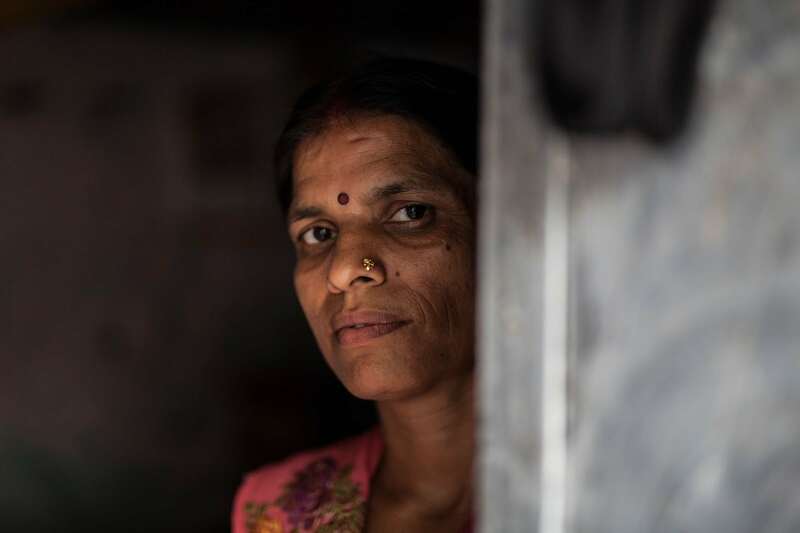 16-year-old Priyanka Kumari lives with her family of six members in Tughlaqabad village, a slum cluster that grew on a disputed land and still continues to bear the brunt of fear and dispossession. People living here are mostly migrants, employed in daily wage work and devoid of access to basic necessities like clean, drinking water. Priyanka, her four siblings, and parents live here, in a one-room house overlooking a makeshift bathroom. “We pay Rs 1600 plus electricity per month for this space,” she explains. A 60-watt bulb hangs from the corner of a dilapidated wall. Priyanka’s mother, Pratima Kumari, switches that on whenever visitors come to her house. It is just enough to light up the stove where she cooks. When she is at work in a nearby garment factory, the sisters huddle together under this light to go over their lessons and textbooks. Pratima Kumari firmly believes in educating her daughters. “Only education can make them independent,” she says emphatically. She studied till the tenth standard. After her marriage, she gave birth to three girls. “No one values a girl in our community. They are looked down upon as a burden. Each time I gave birth to a girl, my in-laws tortured me, reminding me of my duty to bear a boy,” she shares. Unable to bear the torture any further, she ran away from her in-laws house in Bihar. She had the support of one of her uncle. He found her a single room in Tughlaqabad’s Kamgar Mohalla with a rent of Rs. 1100 per month. “After all that he had done for me, I couldn’t ask for more help. I stayed hungry for the first 17 days here. I managed to find work in a nearby garment factory. I was paid Rs 1800 per month on my first job,” she recollects. Her mother’s experience left a deep impression in the mind of young Priyanka. Back home, she saw her father’s nonchalance towards her mother and his conviction that it was “all her fault that the family is broken up”. When her mother visited them after six months, she was accused of deserting her family. “No one understood my mother’s plight. No one took her side. Only I decided to come to Delhi with her. I was in the sixth standard when I came to Delhi with my mother,” she says. Her father followed them after seven months. When Magic Bus sessions first started in the area, no one was willing to send their daughters for it. “It is so common for girls of my age to be teased and groped in our neighbourhood,” Priyanka shares. 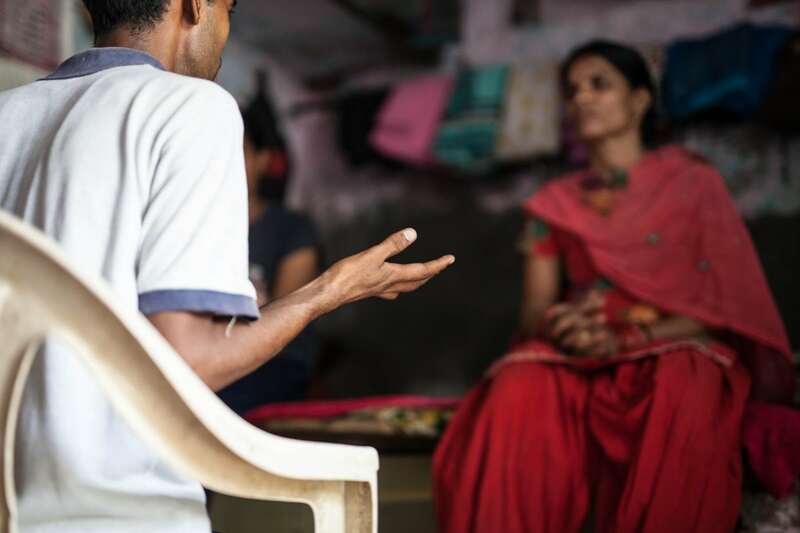 But when Anurag bhaiya (local word to refer to a Magic Bus Community Youth Leader) approached parents with a request to send their children to the sessions, Priyanka’s mother relented. Her happiness was short lived. Soon her neighbours started gossiping about her friendship with boys of her age during the Magic Bus sessions. “It is so unfortunate that boys and girls of my age cannot interact with each other without raising eyebrows and questions on character and morality. It is true that my community sees no value in bringing their girls up to be independent, free, and confident. It is as if they want us to be mute and demure in all that we do.” Priyanka says. She decided to stand by that dream and asked Priyanka to take up the role of a Community Youth Leader. “When Arif came home and explained what a Magic Bus leader is, I was convinced that my eldest daughter could be one. I also realized that my earlier decision of stopping my daughter from doing what she really liked was actually wrong. Mothers should not cave in to societal pressures. They should stand by and support their daughter’s dreams. I am so proud to see Priyanka scaling new heights with each passing day.” Pratima Kumari explains. Priyanka’s vision is clear. “I want my community to value women and girls and not to look down upon them, or restrict them from following their heart. I want to resist any effort to deny girls equal rights.” she signs off. Priyanka is firmly on the path to a brighter future, but there are millions of girls just like her across South Asia that still need your support.